The United States Fish and Wildlife Service (USFWS) has long been a partner of Clinch-Powell RC&D in conservation efforts. We are pleased to announce that the USFWS will be assisting with funding fo a number or watershed protection programs in the upcoming year. The projects include several miles of streambank fencing, water systems, farm access roads, and stream crossings. As farmers have seen the benefit of these programs in the past years, requests for assistance have increased. Clinch-Powell appreciates the support of the USFWS. . 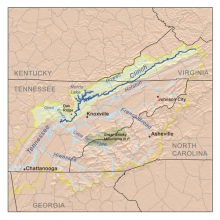 If you are a production farmer in Hancock or Claiborne County and would like more information on how to receive assistance through one of these programs, contact Ronald Lambert, Land Specialist for the Clinch-Powell RC&D, at 423-300-8855.